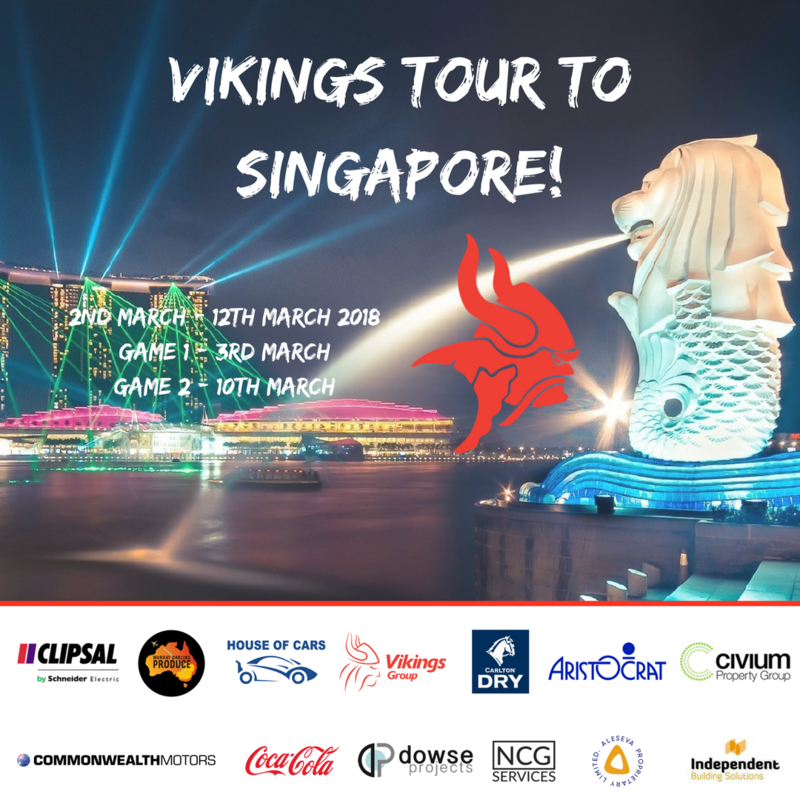 A select group of Vikings players recently returned from a 10-day excursion to Singapore, starting on the 2nd of March. 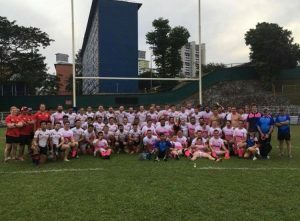 The players were accompanied by a team of support staff, volunteers, sponsors and other rugby club members, in which they participated in two games against Singapore Select sides. The tour was the first of its kind for Vikings Rugby since 2009, when the club toured New Zealand. During the tour, the players were involved in several activities, including a 2-day training camp, a visit to the Australian High Commission in Singapore, a function at the exclusive Singapore Cricket Club and other cultural experiences available in Singapore. The mate-ship and bonding that occurred by the playing group whilst on tour was outstanding, and has set them up for a strong 2018 season. The players had the opportunity to agree and invest into the goals of the club for 2018, as well as develop and drive a stronger club culture. A congratulations must go to the players on their performance on and off the field. Two wins in two games following some clinical rugby was a just result for the group, after a grueling preseason to date. The players were commended for their behavior off the field on multiple occasions – a big thank you for representing the club in such high esteem. The efforts of key support staff and tourists must be acknowledged, too. Vikings Rugby is fortunate to have great volunteers that made invaluable contributions to the logistics of the tour. A special mention to Peter Chapman and Greg Hayes, who acted as the Tour Managers and did an exceptional job. A special thanks to all of our Tour Sponsors, who without your support the tour to Singapore couldn’t have been possible – Schneider Electric, Carlton United Breweries, Murray Darling Produce, House of Cars, Aristocrat, the Vikings Group, Coca-Cola, Commonwealth Motors, Civium Property Group, NCG Services, Dowse Projects and Aleseva Consulting.